A. Despite all my years in broadcasting, I had never taken a voice lesson so when I decided to make a career transition after several years off, I suddenly said to myself, “I don’t have any actual “techniques” to fall back on.” I decided one of the things I should do was to take voice lessons, to figure out how I wanted to express myself and to get some real technique to support what I had always just done. I remembered Arthur had given one of the seminars I had attended at the Omega Institute in New York and I liked him and he was near me in Los Angeles. I didn’t know where else to start so I decided to look him up and that’s what I did. At the time I was worried that some teachers wouldn’t want to work with me. I hadn’t had voice training before. I’m not a singer and I wasn’t doing professional acting at that point in my life, so I was concerned they might just look down their nose and say, “Boo, I can’t take you…” But I called Arthur anyway and he was extremely gracious and very willing to take me on. So that’s how it began. I just felt this was a place to start. Sometimes they say, “When you are ready, the teacher shall appear.” I didn’t know that what Arthur did had such a spiritual quality to it and brings out so much of the personal strengths and deeper individuality of each person. So, as it turned out, it wasn’t just “voice work.” It wasn’t simply mechanical. It was my whole spirit. My whole being. It’s what Arthur wants to see you be able to transmit and the voice is part of what carries it out. I didn’t know I was going to get that. I was very lucky that my first official “voice lessons” were actually lessons in Vocal Awareness. A. I’m really still doing it especially since I’ve had a personal hiatus for a while because of flood damage to my home. I’m just beginning and I don’t think I’ve gotten to the point that I can say I’m doing what Arthur teaches to the fullest degree. I have more to do. I also find I fall back on my old self. Things that he’s taught I have to incorporate better into myself. I don’t think I’m finished with this at all. Still, I have to credit Arthur with helping me find my Voice in my work. When I think about the things that we did, I realize Vocal Awareness really moved me to start writing again. If I hadn’t worked with Arthur, I don’t know if I would have gotten my website going, or that I would have started my blog the way I did. The internet is a medium that I had never used before, yet he just made it seem that I could do this, that it was possible. Things have started to move along and they are still moving. It is just currently an intermission! Q. 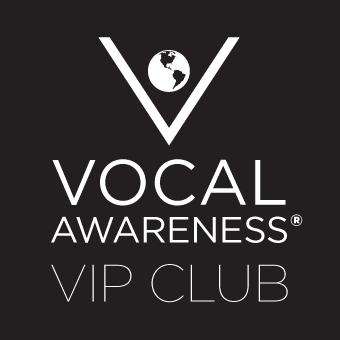 What has been the biggest benefit thus far from your practice of Vocal Awareness? A. Well, so far, the biggest benefit is developing my blog and developing my writing and developing people to help me. Vocal Awareness has helped me to get out there and be creative doing things to express myself. I don’t know where it’s all going to go. Arthur has helped me to begin and that beginning is what I needed. So, I’m moving ahead on this same path. There were two clear triggers that have supported this new beginning. One of them was Arthur’s confidence that I could do it and the other was incorporating his confidence in me into a sense of my own Self. He never criticized me in a way that was critical that made me feel like I couldn’t do this, that I was inadequate. You expect teachers to say, “You shouldn’t do this and…” – the old system. He never did that. So, I had confidence that whatever I wanted to try, I would have support for it. Even if I didn’t do the Work exactly, if I wasn’t right on the key he was playing on the piano, he never said, “No, no, no, that’s terrible.” He’d say, “Do it again” and, then, he’d say, “Very good. You did that right.” It was a great confidence builder. I appreciated it very much. Arthur held the Vision of my success which has helped me to have confidence in my Self.